Want to make your logo handlettered? Contact us for a quote! We’d like to go over your project and make sure that we’re an excellent fit. Every business’ brand starts in one key place that you want your customers to instantly associate with you and your company – your logo. 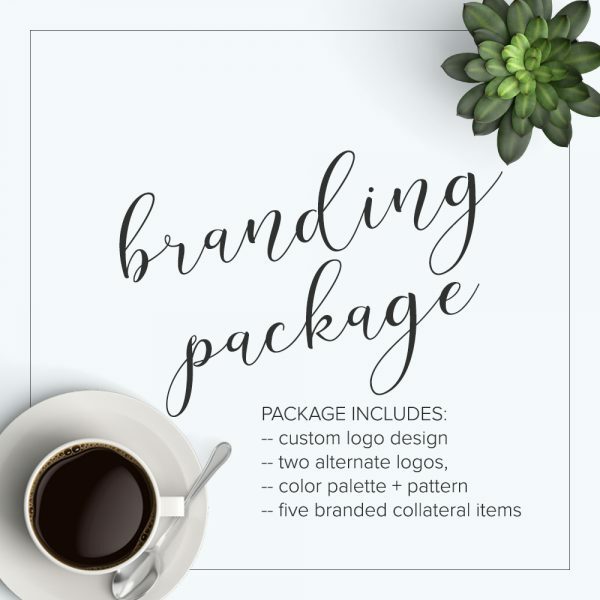 At Autumn Lane Paperie, we specialize in designing beautiful & timeless custom logos for creative professionals and small business owners just like you. Our logos are representative of our clients and their business because we focus on the client. With our southern hospitality-flavored, client-focused process, it’s no wonder that our clients are talking about their experience here with their friends and family. Let’s get started today on your custom logo design! Questions about this listing? Tap to call & let’s chat about it! Call hours are: M-F 8AM – 4PM Eastern Time. PLEASE: Read the following information about this listing! Our custom logo listing is for ONE logo concept. Please send us a message if you have questions about concepts and what our design process is! You will have the opportunity to make revisions, and you may be presented with more than one proof based on your logo vision. We encourage you to contact us with any questions you have prior to your purchase. Your logo will be provided to you in high resolution, uneditable .jpg, transparent .png, + .pdf file formats. You will also receive (uneditable) .ai, .eps, .svg, or .abr files upon request, in the event that you need these items! Your final logo files can be cropped, resized, and utilized on a variety of print + web-related items! If you’re ready for us to design your logo, purchase this listing! You should expect a response from us within 24-48 hours, and we’ll begin chatting about what you envision for your logo and send you our logo questionnaire! We’ll ask you questions about your business, what you intend to use the logo for, your font preferences, and any graphic preferences you have to reflect your brand. It is IMPERATIVE that you take the necessary time to answer our questionnaire about your logo, and to form a vision and clearly communicate this vision to us. You may receive a few different versions of this same logo so that you can see how it will work with a few different font samples, or colors, if applicable. If you have questions about modifications, like “Can you make _____ a different color?” please don’t hesitate to ask those questions. We will do our best to accommodate your needs so your logo looks the best possible. We’ll work together through the proofing process to make sure your logo is perfect for you. Once completed, you’ll receive all file types mentioned above in the ABOUT section. Additional changes after the finalized logos have been sent will incur additional charges. All information, including processes and wording, as well as the subsequent branding questionnaire is intellectual property of Autumn Lane Paperie and is a major component of our branding process. The questionnaire & product information may not be copied, duplicated, nor portions of it used without the express written permission of Autumn Lane Paperie owner. We have exclusive rights to this property and the methods in which we use it; failure to recognize these rights and comply with request for use of portions of this questionnaire will result in prosecution to the fullest extent of the law.